What a joy it was to see The Church stand united on full display for Jesus! Only 5 people showed up for abortions on Saturday December 2nd! 2 years ago they were averaging 50 abortions on Saturdays. Light showed up and darkness had to flee! We are so grateful for the outpouring of love and support The Church has shown these last two years. 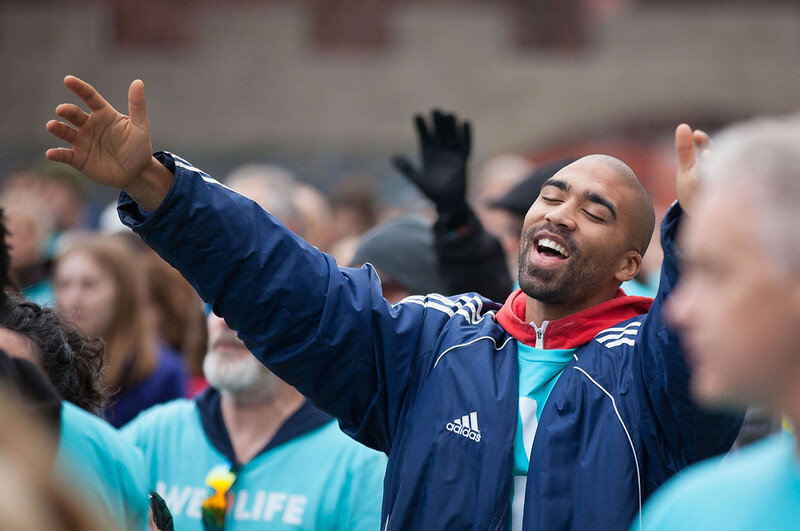 Because of you, families are being saved, men and women are coming to saving faith in Jesus and many who have wrestled with guilt and shame over past abortions are finding healing and hope. 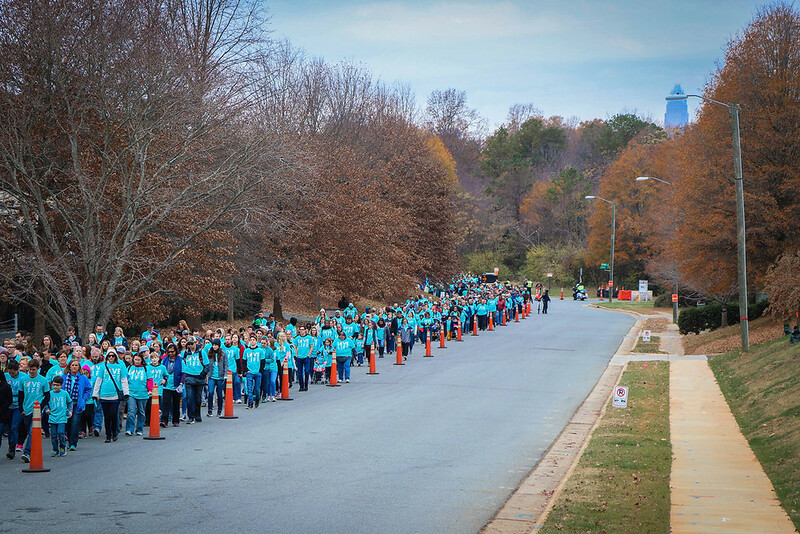 Saturday’s prayer walk is just the beginning of our work to bring a culture of love and life. 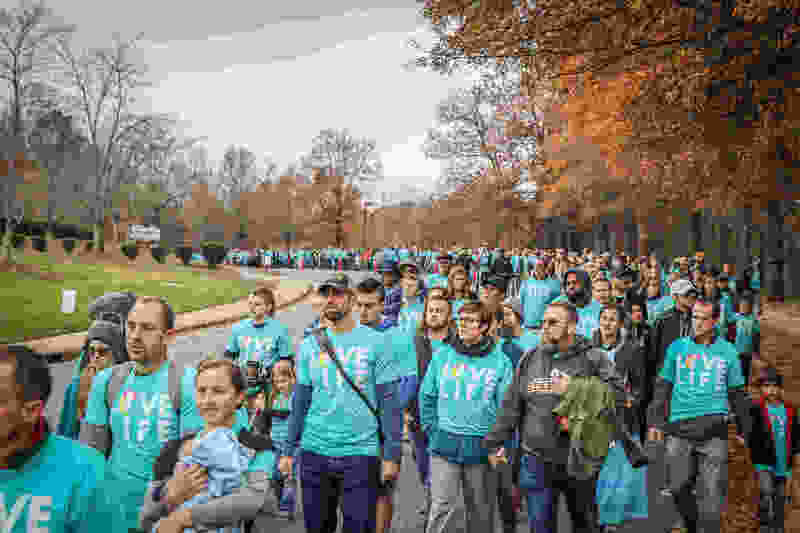 The 100 + churches and thousands of participants walking today were challenged to take steps to do more in our city by loving their neighbors. 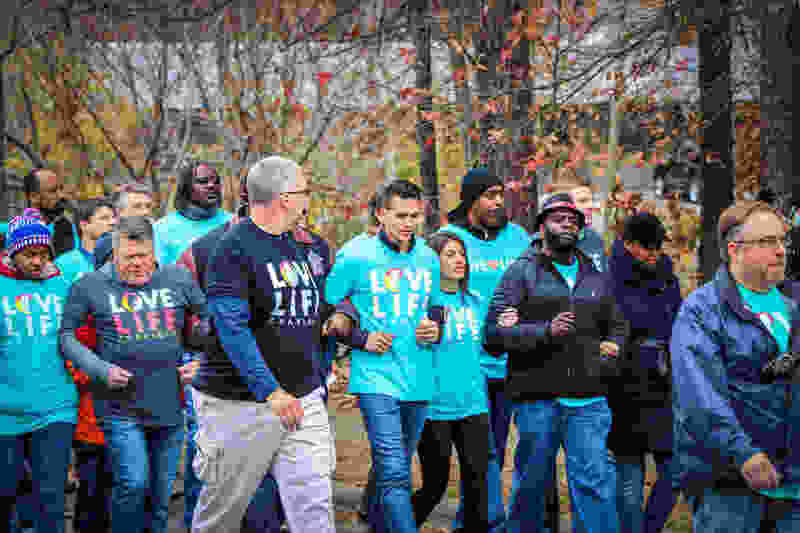 With the help of our ministry partners, Love Life has provided housing, jobs, baby showers, mentoring and additional resources to many of the 814 families that have chosen life on the sidewalks on Latrobe Drive over the last two years. In 2017 Love Life expanded our outreach to bring hope to hopeless children through our Orphan Care Ministry focused on foster care and adoption options. Since God has blessed our efforts in Charlotte, we feel compelled to take Love Life to two additional North Carolina metro regions “The Triangle” (Raleigh, Durham & Chapel Hill) and “The Triad” (Greensboro, Winston-Salem & High Point) in 2018. 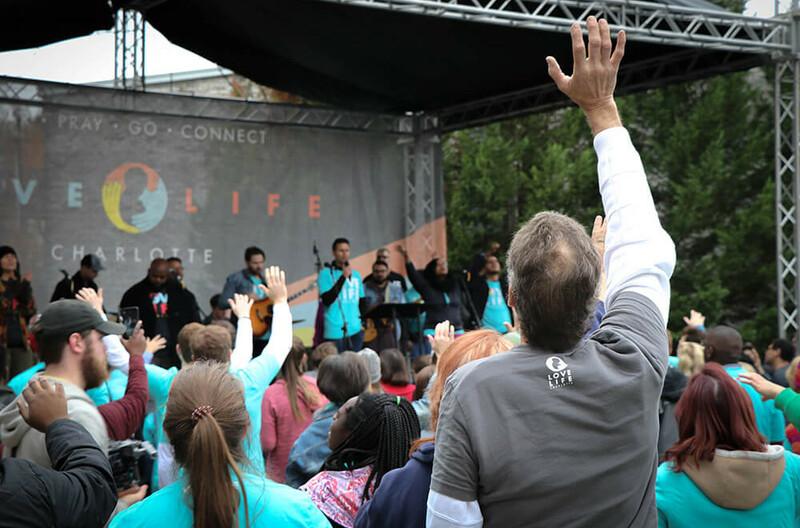 As Love Life moves into these new areas, our team will be leading prayer walks in North Carolina’s three largest cities where approximately 85% of all of the state’s abortions take place. But don’t let this be the end of your journey, let it be the beginning. Find out more about our connection opportunities and how YOU can be an integral part of building a culture of Love & Life in our city. I want to express my deepest thanks and gratitude for allowing me the privilege and blessing of being your Pastor’s Wife from the beginning of our wonderful church. 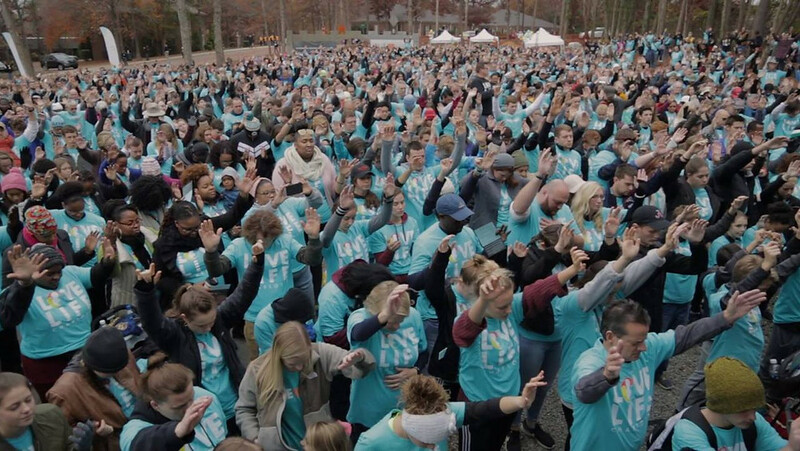 When we moved to North Carolina to start West Cabarrus Church 28 years ago, we came ONLY because of the calling God placed on our hearts… completely in faith and dependance on Him. As I look at what God has done, I am humbled that He allowed me to be a part of this unfolding miracle and birth of a church. My hope and prayer is that Jesus would continue to be glorified, His Word honored, taught, and preached. I pray that many in the future would begin their relationship with Jesus and find their place in God’s family here at WCC. Thank you to everyone who has prayed for us, reached out to us, sent us cards, and words of encouragement. You will never know what that meant and means during this time of transition. Literally many of you have been a "Life Line" to us. We could not make it without many of you holding us up in prayer. Just when I felt at my lowest, I would receive a text or email… and I knew God was speaking through you to me. That is what the Body of Christ does for one another and that is why West Cabarrus Church is real and genuine. I want to thank my husband, pastor, and best friend for an amazing life of serving The Lord together. After serving God 150% each day of his life, it is now time for my husband to be ministered to… and to move into a new phase of ministry. WCC family, we have all been blessed with a pastor that has preached and taught God’s Word, has the highest integrity, and has been a shepherd and loved each of us with a pastor’s heart. We are so thankful that we will still be a part of our WCC church family as Founding Pastor/Wife and look forward to the many ways we will worship and serve God together in the future. Thank you so much for our Retirement Celebration [September 16]. We are grateful so many of you came out even in spite of the weather! For those unable to make it, we certainly understand and appreciate you letting us know. Thank you to those on Staff who worked so hard to make it a day where The Lord was glorified and honored. Thank You choir and band for the beautiful music. Thank you for the nice meal and delicious desserts! We love the beautiful book made for us so we can look back at our church history! As we reflected on our history, it is evident God led us all the way with all its ups, downs, and growing pains. Thank you especially to those who joined in our early years and hung with us through thick and thin. You were called to WCC just as much as we were, and it takes special people to be pioneers and start a church… and to stick with it! A special thanks to my precious Mom who left her home in Louisiana and came with us to begin WCC! So again, my prayer for WCC is this: That you would always keep your eyes on Jesus, the author and finisher of our faith. That you would courageously teach God’s Word in spite of changing culture or what is popular… His Word is unchanging and life giving. That you would love one another and always love and accept the unlovable because that is what Jesus would do. Please continue to pray for us as we will continue to pray for you. We will trust God with you to send “His Pastor” to WCC in His timing and Way.